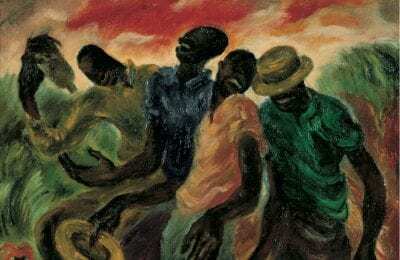 Southern regionalism reflects the important influence of Thomas Hart Benton, who traveled widely through the rural South in 1928 and 1929 gathering visual material for mural projects in New York City. 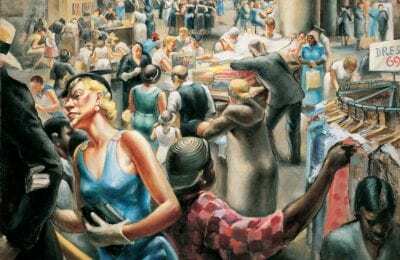 The paintings that Benton produced during that trip predicted the kind of work that many Southerners turned to in the 1930s. Lamar Dodd, for example, celebrated the real values of everyday life and the beauty of simple things, while Charles Shannon sought to identify and address problems that were distinctive to Southerners, black and white. 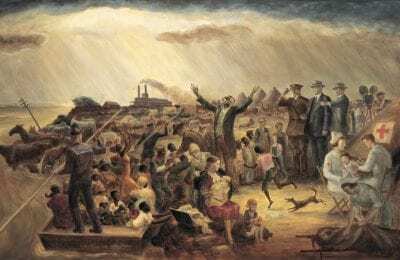 In this gallery hangs a masterpiece by one of the most important of all regionalist painters, John Steuart Curry, whose Hoover and the Flood, commissioned by Life magazine publisher Henry R. Luce, depicts the catastrophic Mississippi River floods of 1927.